Is there a cooler job title in the world than master of whiskey? Fighter pilot, maybe. Bikini inspector, for sure…if it were real. Well, meet Steve Beal, a real-life master of whiskey, a title that sounds like it should come with its own castle. To become one, it helps to train for years at ancient distilleries, spend thousands of hours learning the nuances of whiskey making (and tasting) and then be able to...distill...all that knowledge down so even a simple frump like me can understand. I’m no master of whiskey. I’m not even an intern. Heck, before this, I just looked at it as something to be mixed with Coke. But after meeting Beal recently in San Francisco at the headquarters of Diageo – one of the largest distributors of whiskeys and spirits in the world – I’m now a certified fan of aqua vitae…the water of life. Nearly as much as I am of Top Gun. And bikinis. Whiskey is a catchall term and is defined as any spirit distilled from fermented grain. Scotch is whisky from Scotland. And yes, they leave out the “e,” probably for the same reason they play bagpipes and wear kilts – to make Americans vaguely uneasy around anyone who’s name starts with “Mac.” Scotch must contain barley, and be aged at least three years. Single malt Scotch is made solely from barley, distilled twice at a single distillery, and tends to be stronger in flavor. Blended Scotches are made of select malt whiskeys and those made with other grains. The result is a more consistent, smoother taste. Bourbon is American whiskey and most likely originated in Bourbon County, Kentucky. (Which is now dry. Go figure.) The grain must be at least 51 percent American corn, and to be called “straight Bourbon” it must be aged at least two years and can’t include any artificially added flavors or colors. Tennessee whiskey is straight whiskey that’s similar to Bourbon, made in Tennessee and mellowed through sugar maple charcoal. Canadian whiskey and American rye are usually made with rye, but usually not too much rye. Irish whiskeys are...ta-da...from Ireland, and distilled three times for lighter flavor. “All whiskey begins with cereal grain,” Beal says. What kind of grain depends on where the distillery is and that’s because in previous centuries, local agriculture determined whiskey’s basic ingredient. Scotch is made with barley because it grows well in Scotland’s cool damp climate. In the hot American south, it’s corn. And rye is hardy enough for Canada’s harsh climate. Tradition makes that still true today. Before distillation, grains are harvested and turned into “mash” by soaking them in water for several days. The water’s purity is a huge factor, Beal says. “You can’t really have any iron content in the water.” So you find that whiskey is made in areas where there is limestone or basalt, which filters iron out. Places like...anyone? Yep. Scotland, Northern Ireland, parts of Canada, and parts of the American south. But a whiskey’s ultimate flavor comes from more than just the barrel. While your Scotch may have picked up a subtle hint of Sherry because it’s cask at one time held Sherry, it could also have a suggestion of salt, because it was made near the sea, or it might be smoky because its grains were dried over a smoky peat fire. Your Bourbon might have oak notes because its barrel was new, but if it was made with top-grade corn, it might have a whiff of popcorn. Rye helps give Canadian whiskey a distinct sort of dry, spicy sweetness. Beal says even the stills themselves impart certain characteristics, like a well-used grill can lend its own flavor to the food it cooks. And like wine, there are a myriad of other flavors to be detected depending on the beverage, palate and imagination: pepper, almonds, floral, fruity, earthy, etc. OK, so you’re ready to trade a shot for a sip. Here’s what to do, if you want to do it right. Get a glass. Any glass will do but if we’re doing it right, try to get a “snifter” – a short, balloon-shaped glass – to help concentrate your drink’s aroma. Admire the color. A lot of craftsmanship has gone into this moment. Appreciate the golden hue and look on the sides of the glass for “legs,” streaks that signify the drink’s thickness; thicker whiskey will generally be older. Take a sniff. Just like wine tasting, a good sniff prepares your senses for the next step. Take a sip. If it’s your first, a quick, short sip will wake up your mouth. The next sip is bigger. Don’t swallow right away. Swish it around a bit – but gently. It’s not mouthwash. What flavors and aromas do you notice? How long should you keep it in your mouth? Beal says a good rule of thumb is one second for every year it’s been aged. After you swallow, immediately draw in a breath through your mouth and exhale out of your nose. That sip you just had will pleasantly rise and fill your entire head like an aromatic tide. Wet your whistle with these crafty concoctions – starring whiskey of course! 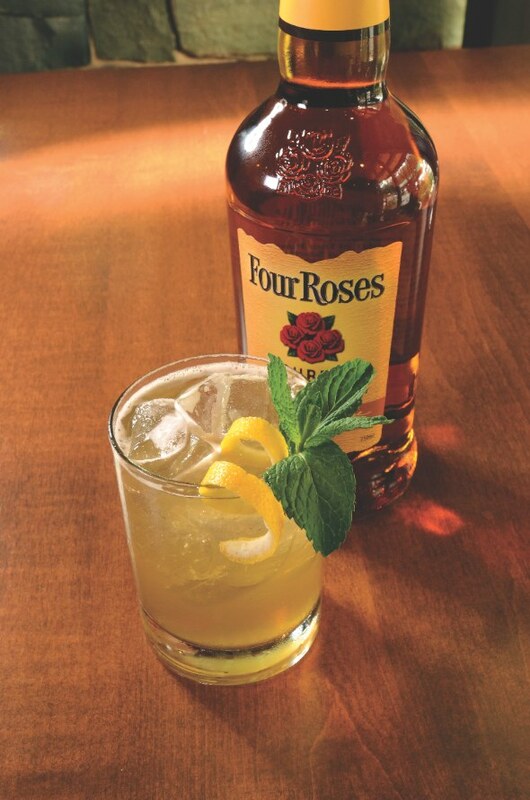 Shake, double strain over ice; garnish with a sprig of mint and a lemon twist. Muddle all fruit, bitters and sugar cube. Then add ice. Pour in the Bulleit Whiskey (or Bulleit Rye) and soda. 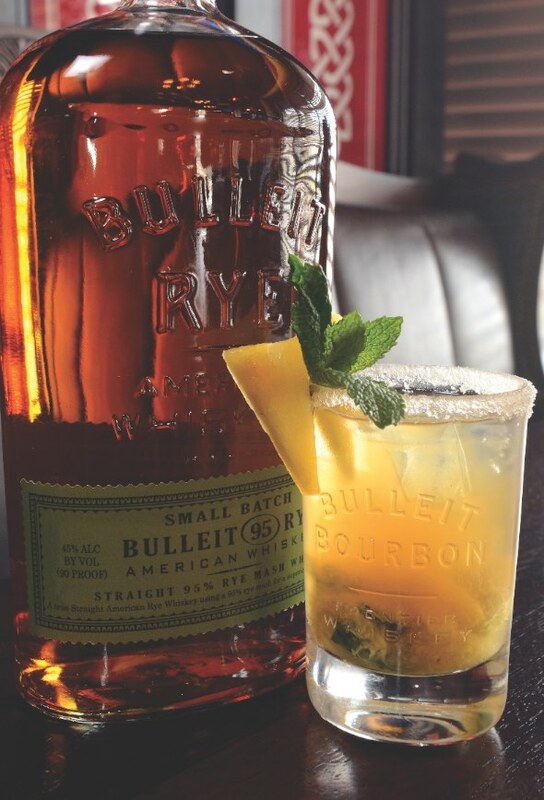 Serve in a sugar-rimmed special Bulleit glass and garnish with a mint leaf. Shake into muddled juicy blackberries and fresh mint. Top with a splash of Sprite and garnish with a fresh lemon.